World Today News: "The main interest of the withholding tax is to adjust the amount of tax to the volume of income of the taxpayer"
"The main interest of the withholding tax is to adjust the amount of tax to the volume of income of the taxpayer"
The tax expert Jean-Yves Mercier answered your questions about the withholding tax. The introduction of the withholding tax on income tax on 1st January continues to spark a lot of questions. Jean-Yves Mercier, member of the Cercle des fiscistes, answered your questions. 1sug: My salary varies every month according to premiums. So, will the sample also be different every month? The deduction rate will be the same, but its amount will be strictly proportional to the amount of the remuneration. This is the main interest of the reform: to adjust the amount of tax to the volume of income of the taxpayer. Bankruptcy corporation: When a corporation files for bankruptcy without paying the public purse, will the tax be claimed from the taxpayer afterwards? No. Any indication of a levy made on a pay sheet constitutes proof of the taxpayer's payment of the tax to the treasury. Clearly, if your employer is failing, the state has action only against him. Cordi: Do you know how SAP will go for self-entrepreneurs? Like all independents, auto-entrepreneurs are paid in quarterly or monthly installments on the basis of their auto-entrepreneur income in 2017. Micmac: The levy rate applied to the income of the year N is calculated from the income of the year N-1, is that it? If the income of the year N decreases with respect to the year N-1, the taxes levied are less important than before, but they are always more or less a function of the revenues of the year N-1 (via the calculation rate). Or is this rate applied in year N also revised according to the declaration that will be made in N + 1? For the first eight withdrawals, the revenues for 2017 (N-2) are taken into account. You can ask to adjust this rate based on your expected earnings in 2019. It is particularly interesting to do so if your 2019 earnings are much lower than 2017. Giellaire: Why did the pensions undergo the withholding tax on the month of December 2018 paid in January. It's normal. The withholding tax took effect on all remuneration paid from 1 January. You will not be penalized because you will undergo in the year 2019 twelve withdrawals, the last one applying to the retirement of the month of November. Faf: What rate will apply to people who have not paid taxes so far? I got my first job in 2018. Your employer will apply a neutral rate that corresponds to the scale listed in Article 204H of the General Tax Code. 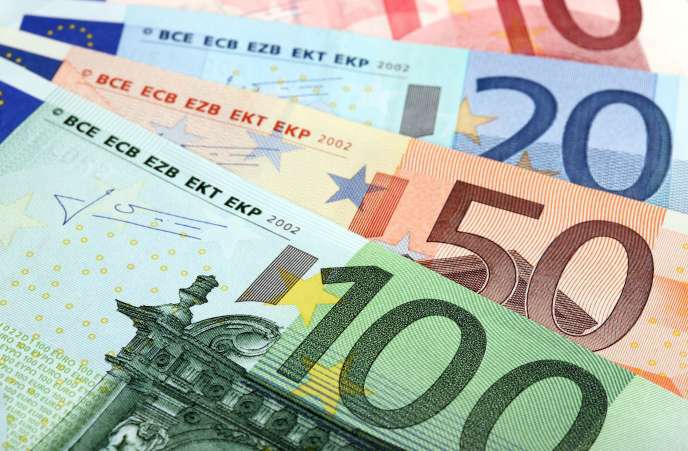 No deduction will be applied if your monthly remuneration does not exceed 1,368 euros. It is 0.5% if your remuneration is between € 1,369 and € 1,420. It is progressive then and can reach 43%. Ju: We had a maternal assistant from January 2018 to August 2018 for our daughter. What about deductions? Either you have already incurred these expenses in 2017 and you should receive on January 15 60% of the corresponding tax reduction. Either it was the first time, the tax reduction will be fully paid in September 2019.